Anna wears many hats: writer, mother, crafter. Over the years, she has found what works and what doesn't for herself and her family. You heard me right. I cheated. I used a boxed cake mix. Sorry, if you were looking for a fantastic cake recipe, you have come to the wrong place. 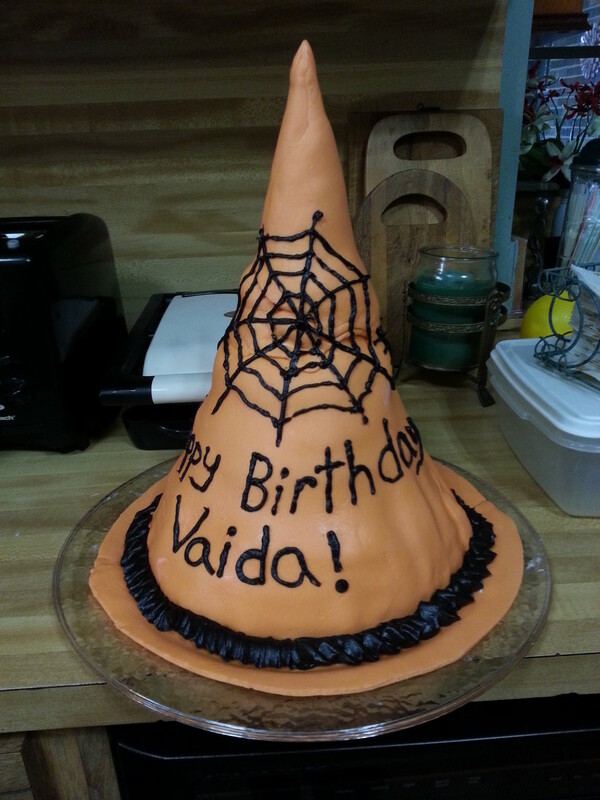 I will give you a guide to creating the witch's hat cake that I made. I was asked to make this for a niece's birthday. I had never done anything like this before, but saw it as a challenge to see if I could. It didn't turn out perfect, but it did turn out pretty good. I learned a few things along the way, and this is also about that learning experience. I will say that I am not an experienced cake decorator, nor have I ever worked in a bakery. I do not have any special skills that I used here, other than the few things my mother has taught me over the years, and the few things I learned from watching YouTube videos. 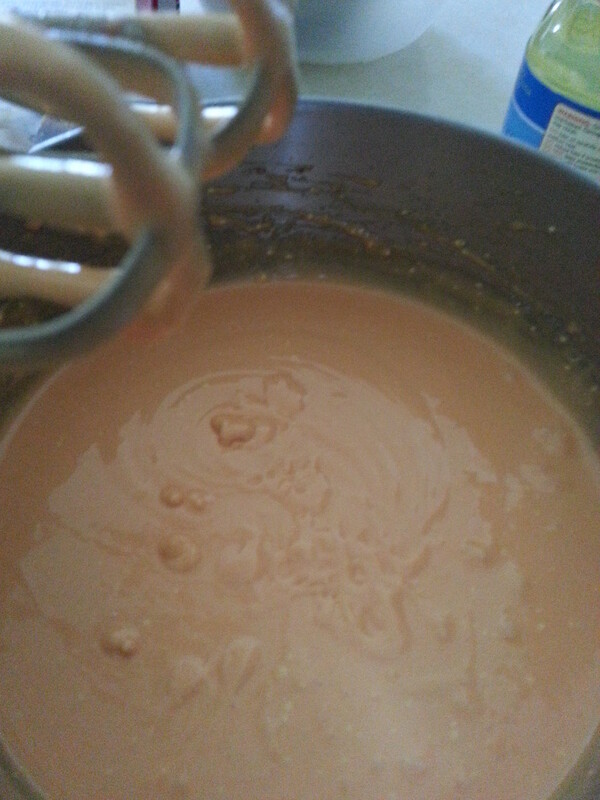 This part is simple enough, considering that I admitted that I cheated and used a boxed cake mix. 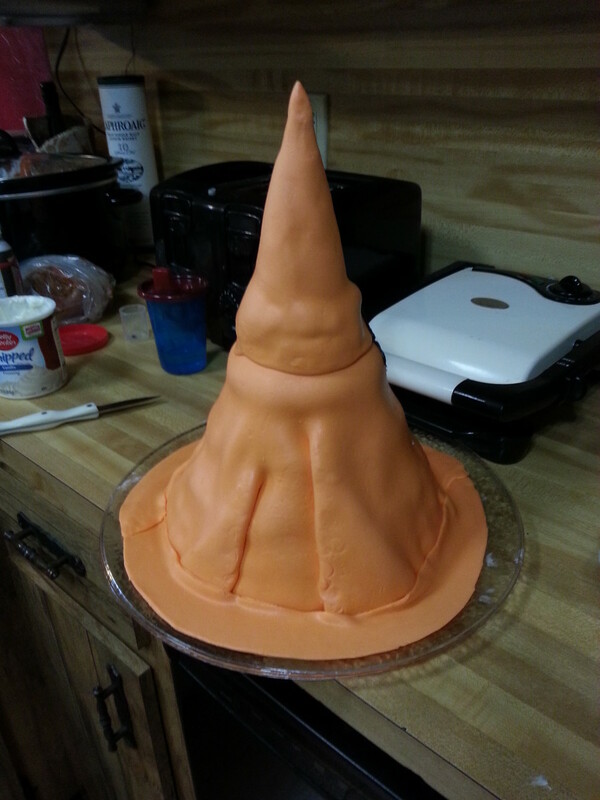 I did add red and yellow food coloring to make the cake an orange color to go along with the witch's hat cake. 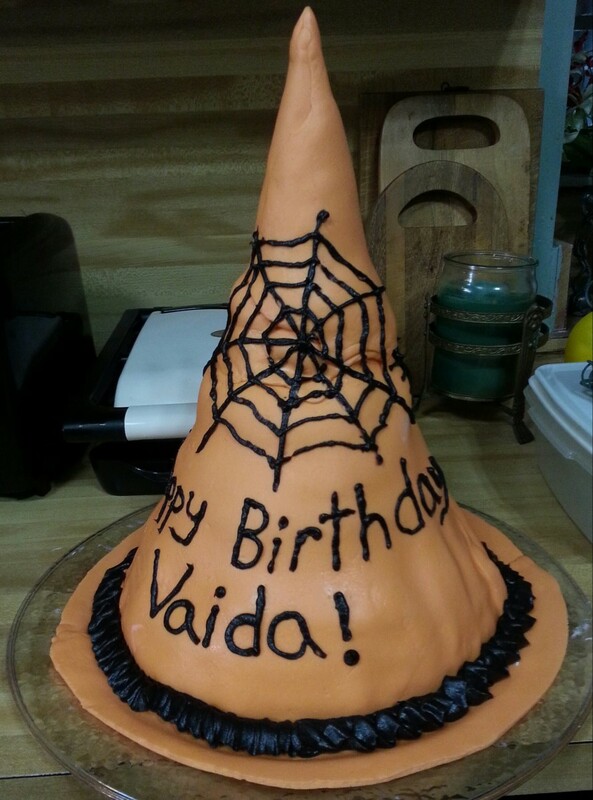 I used almost two boxed cake mixes for the witch's hat cake. I baked two large (10") cakes, two small (6 1/2") cakes and a mini cupcake. I could probably have done without the mini cupcake, but I had to use the pans that I had on hand. The basic idea is to make cakes that are progressively smaller, even if that means you have to cut them to get them the right size. Using several different sized cake pans would have been much better, and I recommend it to anyone that cares to try this out. But, I work with what I have, and I made it work. Start with the largest circle. 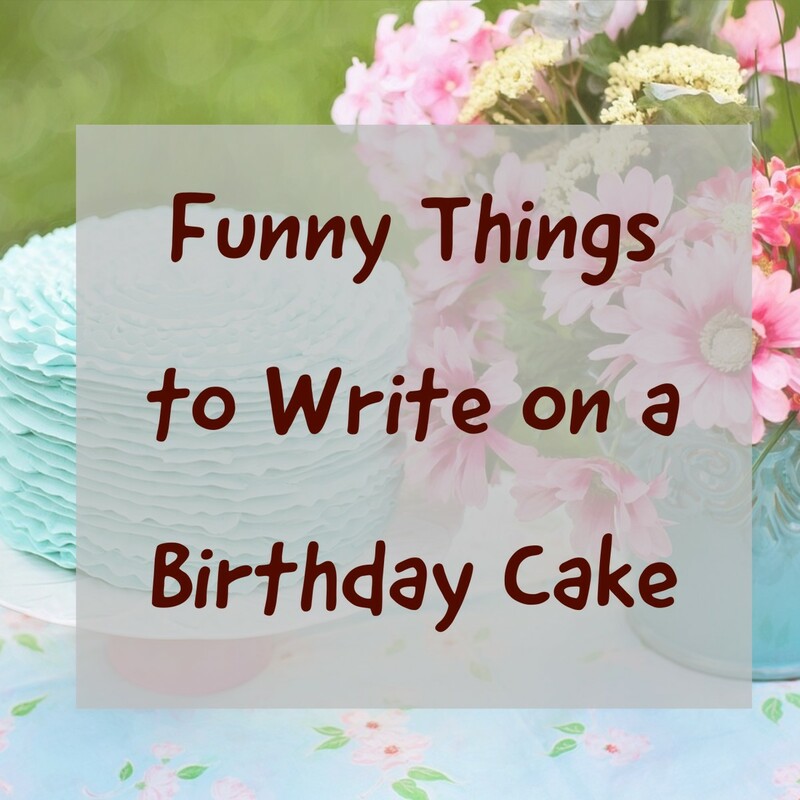 Place it on your cake plate and spread a thin layer of frosting on the top. Place the next layer on top of this one, and trim it a little so that it is smaller than the one beneath it. 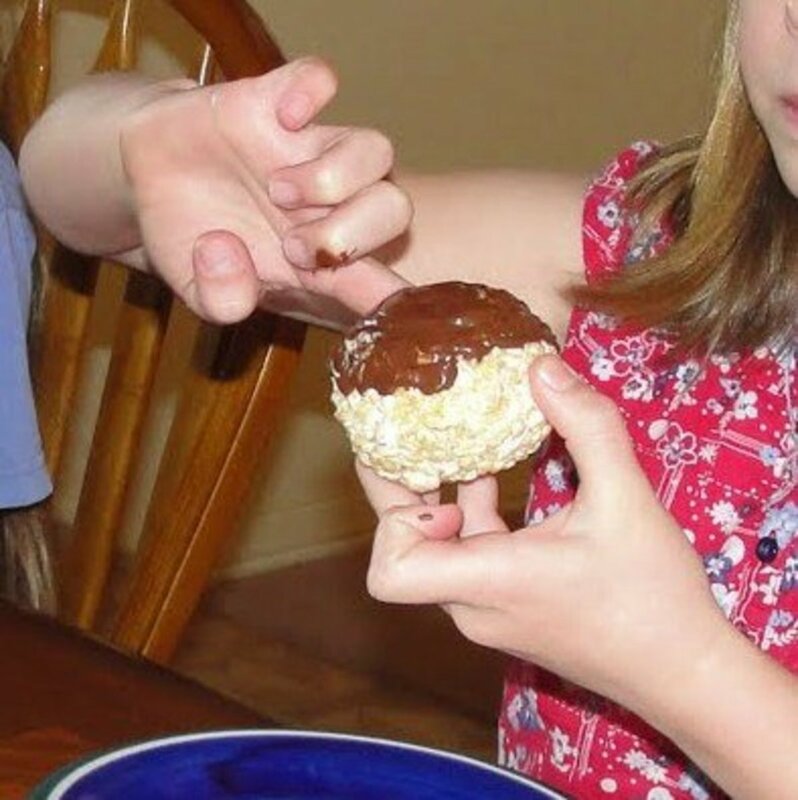 I used a bread knife for this, but another trick you can try is some thread or dental floss held between your hands, and use it like a knife to cut through the cake. 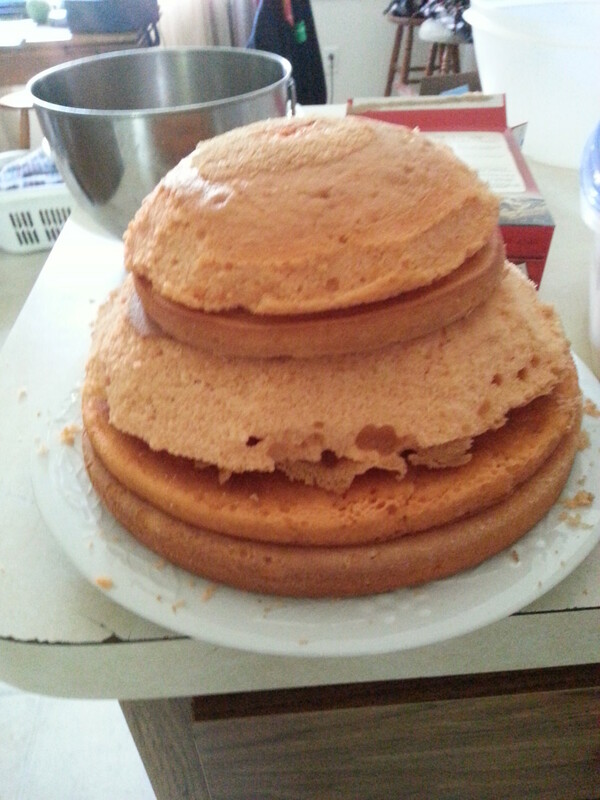 I made the tops a little narrower than the bottoms of each layer, to help make a more angled cake. Keep going in this fashion with the next couple cake layers, remembering to frost in between layers. Make sure to place cake dowels into the cake so that it will help hold the cake up. Otherwise, the top of the cake may slide off, or even collapse. How Do You Make a Pointy Hat Out of Cake? I wondered about this, as well. I turned to YouTube for inspiration. You can find a tutorial for just about anything on YouTube these days. I have included a video at the right that will explain this. I kept stacking layers, getting smaller as I went. I don't know if you can tell from the picture, but the top two "layers" are just scraps of cake I cut from lower layers, pieced together with frosting. As I said, I am not a professional baker, and this was my first time trying anything like this. 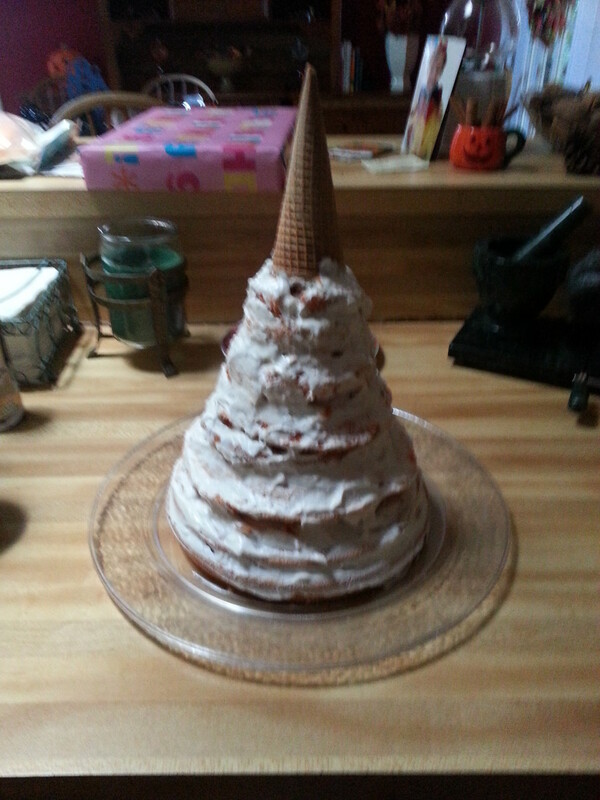 The pointy part of the hat was achieved with a waffle ice cream cone. Yep, that's what I said. I stuffed it with more scraps of cake and stuck a cake dowel inside of it. 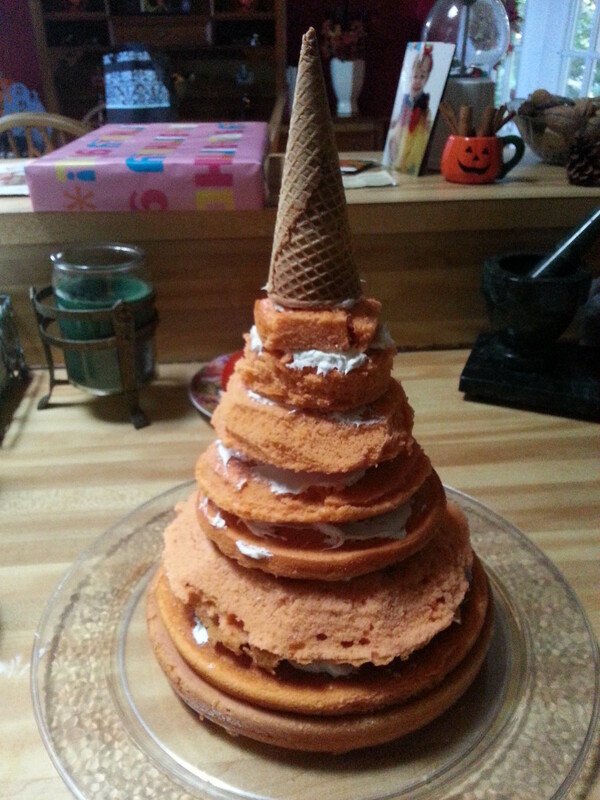 I then frosted the layer below it, and slid the cone, with the dowel in it, into the cake, so that it sat on top, as shown in the picture below. I then added a thin layer of frosting to the cake. This will help the fondant stick to the cake a little better. It also tastes good, so it's a win-win. This step is pretty easy, and I just used store-bought frosting and a frosting spatula. A frosting spatula is angled to make it easier to spread frosting on a cake, but any spatula would work. I found a recipe for marshmallow fondant on Pinterest. I have included a link to the website where I found it. It looked a little easier than it really is. I will say that it is sticky, messy, and it takes a while to get it to the right consistency, but it's worth it. 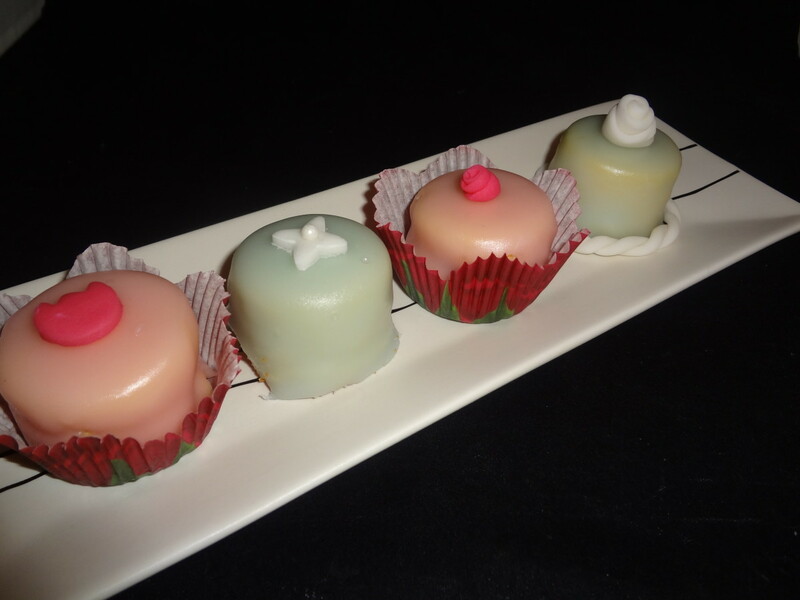 Store-bought fondant doesn't taste very good. This stuff tastes delicious. The best I can compare it to is those orange marshmallow circus peanut things. Once I had made the fondant, I rolled it out with a rolling pin, and with the help of another pair of hands (in this case, my husband), I draped the fondant over the cake. If I had been smarter, I would have wrapped the fondant around, because when I draped it over the cake, the cone poked through the top, and I had to cut another piece for the top. You can see the seam in the finished cake. I cut away the excess, and joined the seams as best I could. I know there is a trick to making them less noticeable, but I hadn't found it at the time. How to make homemade marshmallow fondant to decorate your baking with. As you can see by the photo above, I had a less than perfect experience with the fondant, and had some seams I had to hide. I am still a beginner when it comes to these things. I also left a border of fondant along the bottom of the cake plate, as the brim of the hat. I bought black decorator icing, but chose to put it into my own pastry bag to decorate the cake, as I had more options for piping tips to use. I used a small round tip to draw the spider web, make the spiders (they are on the sides of the cake), and to write the message on the cake. As you can see, I am no expert cake decorator, and I am sure someone with more experience would have done a far better job. That being said, I think I did a fairly good job. I used a large petal tip to make the ribbon decoration around the brim of the hat. As I have said several times, I am not an expert cake decorator, but I was still able to pull this off for a family member's birthday. Everyone loved the cake, and that is what is important. I made a few mistakes along the way, and I am sure if my process was reviewed by a professional, they could point out a few more mistakes that I didn't even notice. I learned a lot during the process of making this cake, and I hope that you learned a few things along with me. Great job on the article and well done on your Hubpot challenge achievement. Voted up. raymond--Thank you so much!!! It was a request for a child's birthday. Her birthday is in October, right near Halloween.